Pumpkin Seed Publishing, 9780979893483, 314pp. What would happen if 40 million disabled citizens organized their vote and took power in America? 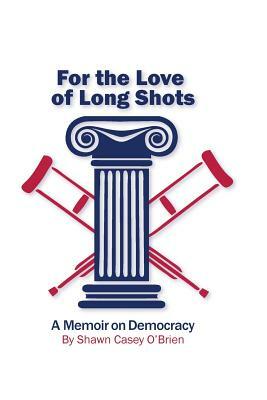 Shawn Casey O'Brien's literary memoir For The Love Of Long Shots looks at the off-beat, humane possibilities as a rag tag group of disabled rebels lay the groundwork for just such a bloodless, democratic revolution. From motivating millions to register and vote, to ending voter suppression and wholeheartedly encouraging the electorate to "lie to the polls" and then simply vote their conscience, For The Love Of Long Shots takes an irreverent, if not realistic, look at what ails American democracy today and how best to save it-one disabled vote at a time.